With exponential data consumption, the telecom industry is expected to generate revenue of $38.25 billion by 2017-end, registering a compounded annual growth rate of 5.2 percent between 2014 and 2017, Communications Minister Manoj Sinha said on Wednesday. "Investment has increased by approximate 220 percent in the last four years. Operators have rolled out more than 0.2 million mobile tower sites in the last 15 months," he said in his inaugural address at the India Mobile Congress 2017 here. India is the second largest telecom market in the world with 1.2 billion telecom users and 450 million internet users, he added. The telecom industry generates 4 million direct and indirect employment. "In the past few years, the government has put the spotlight formally on technology. 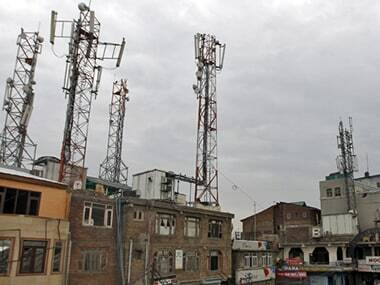 The government has already started stakeholders' consultations on the new telecom policy. IT and telecom currently contribute 16.5 percent to the GDP and there are immense possibilities of increasing its share," the minister said. "With the National Telecom Policy 2018, the Indian telecom market will cross $6.6 trllion by 2020," he added. Sinha further said that the government is taking a number of steps for further augmentation of the ease of doing business. An EY report recently said, the Indian technology, media and entertainment and telecommunications (TMT) industry is expected to grow to over half a trillion dollars by 2021 from the existing quarter of a trillion dollars.